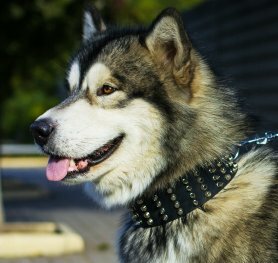 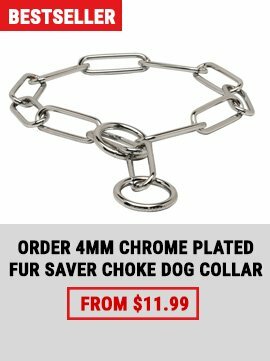 Choose a choke chain collar or a choke chain fur saver (choke collar with bigger links) to train your dog. 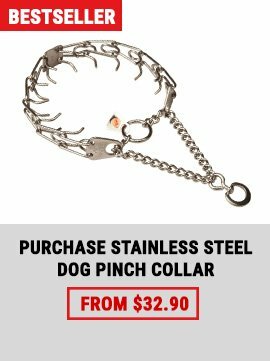 They have more gentle effect than prong collars and are perfect for long-haired dog breeds. 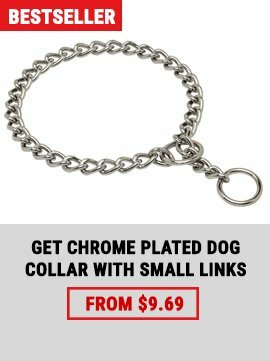 For example, you can choose this Herm Sprenger Black Stainless Steel Fur Saverthat will help you to keep your pet's fur in perfect conditions.